Barbour Wax Harton Trapper - olive. 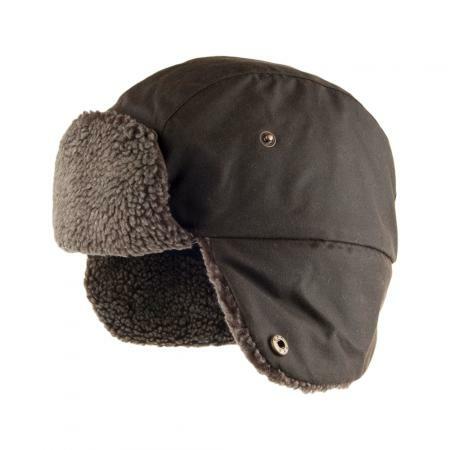 Here is the Barbour Hats Wax Harton Trapper Hat in olive. This super warm trapper features fleece lined earlaps and a tartan lining for the cold winter months. The outer shell is made of waxed cotton, so if you get caught in a rain shower, it will keep your head dry. The earlaps feature button snaps so you can wear them up or down.